The dramatic thunder, lightning and torrential rain that hit the Oaks did little to affect the state of the ground, clerk of the course Andrew Cooper reported as he left the going description as good overnight. 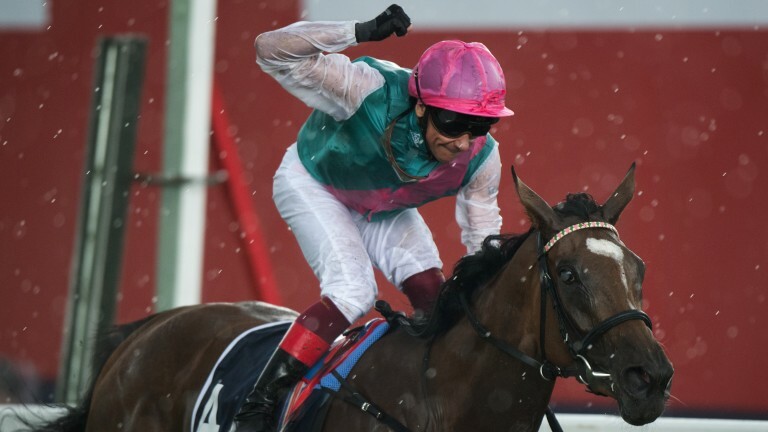 As much as 30mm in an hour was forecast but Epsom escaped relatively unscathed, with those who rode in the Oaks subjected to the vast majority of the nastiness. "We're going to leave it as good overnight as that's where we are; we'll take stock in the morning," said Cooper after racing on Friday. "Weather-wise, it didn't seem to measure as a lot of rain, however dramatic it all seemed. It barely registered a millimetre on our weather station. There was clearly heavier stuff in parts but it wasn't any great volume of rain." On the forecast overnight and throughout Saturday's card, he added: "I wouldn't rule out a shower overnight, it's not out of the question, but I wouldn't expect anything appreciable. "Saturday looks a much cooler, basically dry day, with temperatures around 20C. We'll have another look in the morning." Tickets were still available on Friday night for the Grandstand, Tattenham and Hillside enclosures, with the Queen's Stand and Lonsdale enclosure sold out. ITV's first Derby coverage for 29 years is all on the main channel, with The Opening Show starting at 9.25am. Its usual home, ITV4, has live French Open Tennis.